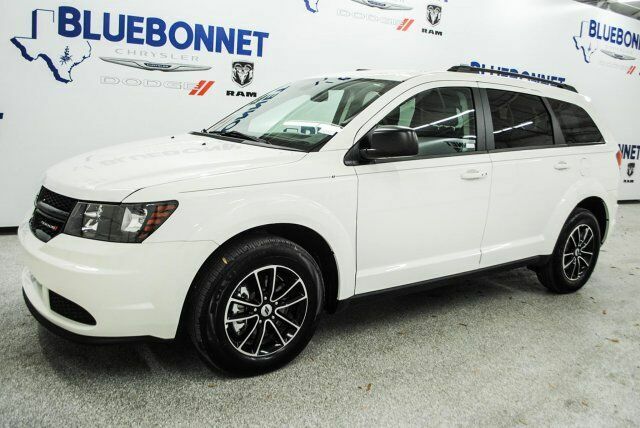 Purchase this brand NEW bright white 2018 Dodge Journey SE at a great deal! This stylish & spacious SUV features a durable black interior, a push start, MP3 Player, chrome interior accents, rearview camera, ample storage, cruise control, dual airbags, roof rack, premium rims, third row seating, & much more! It's powered by an efficient 2.4L engine and a smooth 4 speed automatic transmission. Drive this great SUV away today hassle free! If you have any questions about this amazing find or any of our other vehicles, please call our sales office. Thank you for your interest & we look forward to hearing from you.